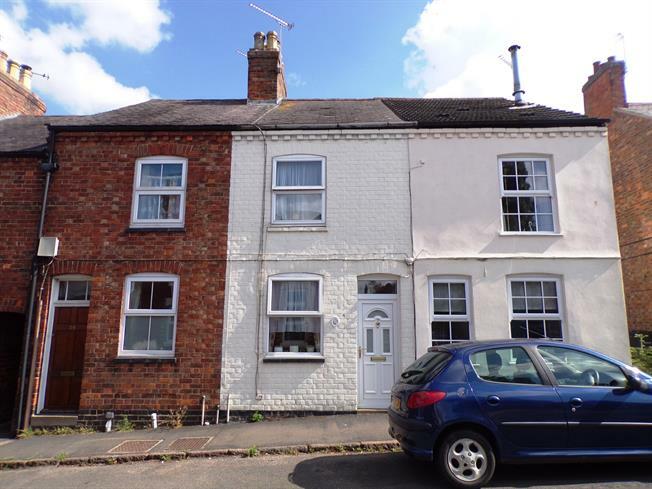 2 Bedroom Terraced House For Sale in Leicester for Guide Price £160,000. Spencers are delighted to offer for sale this beautiful terraced home, which is positioned in a lovely location on Gladstone street. The property is beautifully presented and very well maintained with a wealth of original features from fire places, doors and high ceilings. The accommodation comprises of, living room, dining room, galley style kitchen, two double bedrooms and a family bathroom, long mature gardens to the rear with patio seating area. UPVC double glazed door. Double glazed uPVC window facing the front. Radiator and electric fire, solid oak flooring. Double glazed uPVC window facing the rear overlooking the garden. Radiator, solid oak flooring, under stair storage. Double glazed uPVC window facing the rear overlooking the garden. Laminate flooring. Roll top work surface, wall and base units, circular sink, freestanding oven, electric hob, overhead extractor. Double glazed uPVC window with obscure glass facing the rear. Radiator, tiled flooring, built-in storage cupboard and boiler. Low level WC, panelled bath, electric shower, wash hand basin. To the rear of the property is a pretty courtyard patio area perfect for al fresco dining, arched pagoda leading to further garden which is mature and established filled with plants and trees. At the very bottom of the garden is a timber shed.